I have had probably around 20 high-end computers over the past few years. I spare no expense when it comes to the performance abilities because I rely on them so much to do so many things for me - both for professional reasons and personal reasons. My experience with computers is that they ALL seemed to run super slow due to the high performance I required from my software applications. Keep in mind, I spent $2000.00 on my last computer (just last year) for a top-of-the-line, upgraded to the max, custom-built computer by DELL. Being a website designer, I am always busy. I use several applications at one time consistently and any new computer that I get starts running really slow within the first couple of months... that is, they did - UNTIL ... 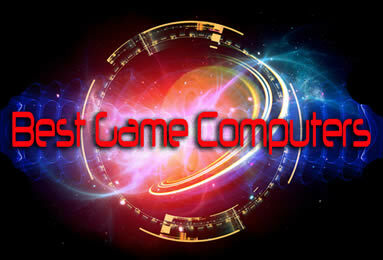 I got my new custom built high perforrmance computer from Best Game Computers. If you know me, you know I would NEVER approve of something that I was not happy with. Now that I have had my own custom-built high performance computer and have been using it for awhile now, I've installed all of my software and it's broken in. I use it all the time and it still runs like new. I love that I am able to have all of my software applications open (at one time) without my computer bogging down or freezing up like it usually did with my "out of the box" computers. The best part about this is that I actually spent MUCH LESS money on this new custom-built computer than I did with any of my last 3 computers ... AND MY NEW ONE RUNS SO MUCH BETTER!!! Just so you know ... I always shop around and my last 3 computers were all top of the line models and bought at: Best Buy, DELL, and Walmart. I still can't believe the difference in how well my computer from Best Game Computers performs. I no longer have to deal with frozen screens - or other error issues due to the hardware insufficiencies and my computer has actually allowed me to work more efficiently and I now have the time to do other things, too. If you are looking for a reliable high-performance computer that won't bog down by software applications, and if you don't want to pay an arm and leg for a high-performance computer, I would HIGHLY recommend getting your next computer custom built by Best Game Computers!